Tish and Criminy Stain return in book 4 of the Blud series. I'm so happy to see a continuation of their story since this is the last book in the series. In case you don't remember, Criminy runs a traveling circus, and in book one, Tish joins them as a glancer (think fortune teller) when she appeared in Sang. A spelled necklace causes Tish to go back and forth between Earth and Sang whenever she falls asleep in either place. Which I would imagine would take a toll on someone after awhile. The only reason Tish is still going back to Earth instead of being with her husband Criminy full time is to take care of her dying grandmother. You see, if Tish turns into a bludman (think vampire) like her husband, she won't be able to go back to Earth, she'll be stuck in Sang forever. Now we get to the interesting part. Tish manages to get her grandma to Sang. Now everything can be picture perfect, or so one would think. We wouldn't have a very interesting book if it was picture perfect, now would we? After a few days Tish and Criminy have to go on an adventure to find Tish's grandmother. She's run off, and with no clue why, Tish has to find her. I will tell you this, I was frustrated at the grandmother almost the entire time she was in Sang. 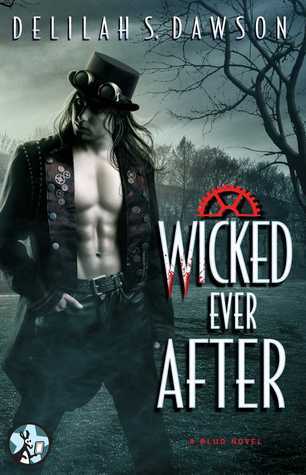 Wicked Ever After is a lovely conclusion of the Blud series. It had the adventure that I craved with the characters that I loved. Criminy is my favorite character in the entire series. He has that sweetness towards Tish that melts my heart, but don't be fooled into thinking he's soft. The series is full of vampires, adventure and romance, oh and bludbunnies. 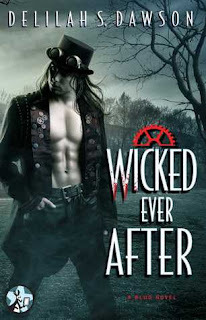 I highly suggest all of the books if you enjoy paranormal romance with a bit of bite. It'll be a must read if you've enjoyed the previous books! :) And yeah, I saw it was ebook only too, glad she wrote it though! Ah dang. I still need to START these. I have book one...somewhere. Awesome it went out on a bang and didn't fizzle. Ohh yes, you have to start the series :) Hope you enjoy them! I have got to start this series! Ohh yes :) I enjoyed each book, even the novellas! ahh didn't realize it's the final book in this series. Always sad when a good series come to an end. I'll hold out hope that another will appear randomly hahaha I love this series! I've wanted to try this series for a while. I just haven't gotten around to it. I'm glad to see that you're still enjoying it. Gives me hope to try it soon. I didn't know it was the last one but I have it and I can't wait to get into it!